A RESPONSIVE LANDING EXPERIENCE AND SHORT FILM FOLLOWING SINGER SONGWRITER WHITE BUFFALO AS HE TRAVELS THROUGH THE DESERT. 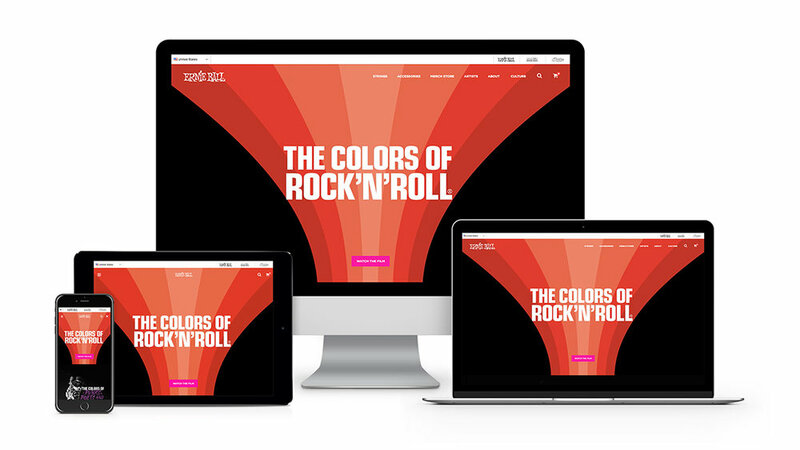 A RESPONSIVE LANDING EXPERIENCE, ANIMATION, AND SHORT FILM PAYING HOMAGE TO THE ORIGINAL ERNIE BALL COLORS THAT helped shape the sound of ROCK'N'ROLL. A RESPONSIVE PRODUCT COLLECTION TO COMMEMORATE THE album RELEASE OF MASSEDUCTION by artist St. Vincent. 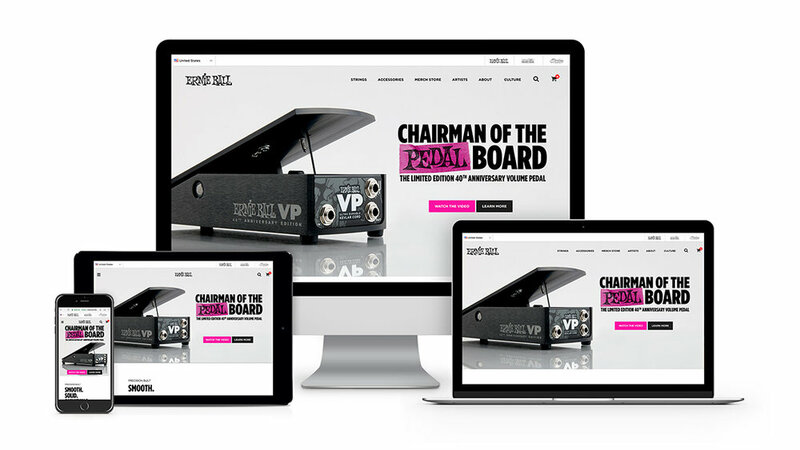 A RESPONSIVE PRODUCT DETAIL PAGE AND video commercial SHOWCASing THE NEWLY improved, CLASSIC DESIGN VOLUME PEDAL BY ERNIE BALL.